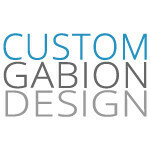 We build beautiful gabion walls and unique custom furniture. Victory Metal Works offers the highest quality iron products, ranging from entry doors, iron stair railings, gates, and a wide range of architectural elements with service being our number one priority. We custom fabricate to our client's specific requirements right here in Phoenix. With over 25 years of combined experience in the Phoenix construction market, we know what it takes to provide the best product with fast delivery at competitive prices. Whether you are looking to add a little decorative element to your home or you're building your custom dream home, allow Victory Metal Works to transform your ideas into reality. 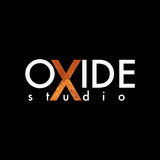 The OXIDE studio is located in the Willo Historic Neighborhood in central Phoenix. Artist/Artisan Dan Moore is a practicing graphic designer, photographer and metal worker who focuses on the needs of residents who want a unique, functional and lasting addition to their living space. The Oxide Studio has been commissioned to create many works on all scales by over 100 private clients, both commercial and residential. His completed projects include classic sculptural pieces, memorable freestanding works, gateways, enclosures, furniture and more. All exploring and utilizing metal to combine iconic design that reflects a sense of timelessness and permanence while expressing the visions of the customer. His approach to all projects begins with an assessment of the request and the vision for the project while considering the environment of the final installation. Conceiving, in collaboration, which materials will enhance the space, work well within the setting, simultaneously applying form and style that complements and adds a distinctive and memorable component to its surroundings. We have been building and creating for a very long time in the Valley of the Sun. Home, Municipal, Technology, Industrial, Security our skills are diverse and our product line covers all the bases. We at Arizona Fence Builders, feel that our success is a direct result of excellent customer service. Building satisfaction with pride. T&A's Mobile Welding LLC is a mobile welding service/fence contractor that provides services in Phoenix, Maricopa and Pinal Counties based in Mesa, Arizona. Services range from residential welding consisting of fence repair, RV gate repair, railings, wrought iron, security doors, automobile restoration, to your common pool gate, to commercial jobs such as container repair, dumpster repair, roll off repair, trailer repair, or repairing your entire fleet. T&A will fabricate, modify or repair just about anything you can think up, while staying versatile in our industry by working with various materials such as, mild steel, cast iron, aluminum, and stainless steel as well as mig, stick and flux core processes. T&A's Mobile Welding only uses top quality welding equipment for superior performance and quantity output for our clients products. Feel free to Contact us at (480) 262-2120 to arrange for our services, or view our gallery for craftsmanship. 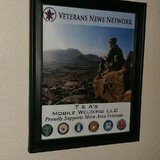 Take advantage of our mobile services throughout Phoenix, Mesa, AZ and surrounding cities. Since 2003 DCS Industries, LLC has been installing and manufacturing high quality custom iron works, including fencing and gates, that save money and enhance the beauty of residential and commercial properties. We manufacture all of our own fencing, gates, and custom iron works, ensuring quality, durability, and products that coordinate and accentuate any style of property – both residential and commercial. Our custom-made wrought iron fences, gates, and security doors are expertly designed, crafted and professionally installed. We ensure complete customer satisfaction by providing friendly, knowledgeable, licensed (ROC #224890) installers and fabricators. We offer styles to suit every taste at competitive prices. Our products include security and heavy duty screen doors, custom and wrought iron gates and repairs, roller replacement and sliding glass door repair. We provide FREE quotes for your residential or commercial projects. 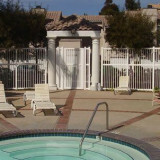 Far From Average offers pool fence installation throughout the Arizona valley. We know that you want to make sure your family and friends are as safe as possible around your backyard pool or spa, and we feel the same way. It is our goal to make your residential pool as safe as possible with a number of quality pool fencing products along with installation capabilities to make that happen. We creatively design, develop and install steel silhouette cut-outs used for fencing, gates, security and pool toppers and more. Serving the Phoenix area since 2007, with fair, honest, talented iron craftsmen. Make a noticeable difference for your home, family, security and value. TCM Masonry, Inc. is among the largest masonry contractors in this area. We have been in business since 1982. We are licensed and bonded for residential and commercial masonry and iron construction. We do all types of masonry work and wrought iron, including fences walls, stone veneer, fireplaces (block and precast), and concrete columns. Our attention to quality and customer service has been the reason for our continued success for the past over twenty eight years. TCM welcomes the opportunity to bid on any new projects. Please contact us! Showcase Stone & Steel Designs offers quality steel creations to homeowners and industry professionals looking for the right piece to enhance their yard and home improvement project. Our product line includes trellises, privacy screens & division walls, gabion fountains, retaining walls and gates. We offer several different styles for all of our products in both standard and custom sizes. We proudly serve all of Arizona. Our delivery and installation areas include: Scottsdale, Tempe, Mesa, Chandler, Gilbert, Glendale, Surprise, Peoria, Sun City, Carefree, Cave Creek, Anthem, Fountain Hills, Ahwatukee, South Phoenix, Levine, Buckey, San Tan Valley, Queen Creek, Avondale and Paradise Valley. Arrangements can be made for deliveries outside the Phoenix metro area including Tucson, Flagstaff, Prescott, Payson, Sedona, etc. Whether you need to secure your yard or just add some decorative flair to your landscape, fences are an integral part of a home’s exterior and curb appeal. Given their security and aesthetic importance, they need to be designed, installed and repaired correctly — luckily, fence contractors in Mesa, AZ can help. From devising custom fence designs to general fence repair and maintenance, these pros will have your fencing looking fancy in no time! Your Mesa, AZ fence installation and repair professional will work with you to create your ideal fence. Fence installation or replacement. If you are in the market for a brand new fence, a contractor’s services will include walking you through various fence styles and materials, determining a suitable height, ensuring that all fence designs and plans are compliant with Arizona building codes, and that the fencing meets both your stylistic and security needs as the homeowner. Fences and gates must complement the grade of your property as well as the type of soil you have, so the contractor should always plan around these considerations. Additionally, if you don’t know exactly where your property lines are, he or she can commission a survey for you. Find a fence contractor in Mesa, AZ on Houzz. Narrow your search in the Professionals section of the website to Mesa, AZ fence contractors. You can also look through Mesa, AZ photos to find examples of fencing and gates that you like, then contact the professional who worked on them.